Games are a great way to train your teams. Possession is, without out any doubt, one of the most important skills/concepts that you must incorporate into your training. This game/drill is great for teaching team and individual possession. In the video below Tom Mura from World Class Coaching, uses animation to explain a possession game that he calls American Gladiators. This game is played in grids that could range from 10×10 to 15×15 depending on the age of the players (larger for older players). Two begin create two grids side by side. Place 5 players with ball in each grid with a ball. One player from each grid is selected to be “it”. The will discard their ball and move to the other grid. Their job is to attempt to gain take the ball or knock it out of the grid from the four offensive players that each have a ball. Once an offensive player loses his/her ball, they will remain in the grid to support the players under attack. This will allow you to coach concepts like: body shape, angle of support, moving to open space. As the defender continues to knock ball out of the grid, the drill will eventually become 4v1. You can see that the drill progresses from an individual possession drill to a team possession drill. The defensive player will continue in his/her role until all of the balls have been knocked out of the grid. The team that possesses its three ball the longest is the winner of that round. To start the next round a new player is selected to be “it” for each team. When the game reaches 4v1, it may become to easy for the offense to possess the ball. The adjustment can be to add a second defender at this point and make each grid 3v2. This drill allows you to teach not only individual possession skills, but also team possession concepts in a competitive and intense environment. 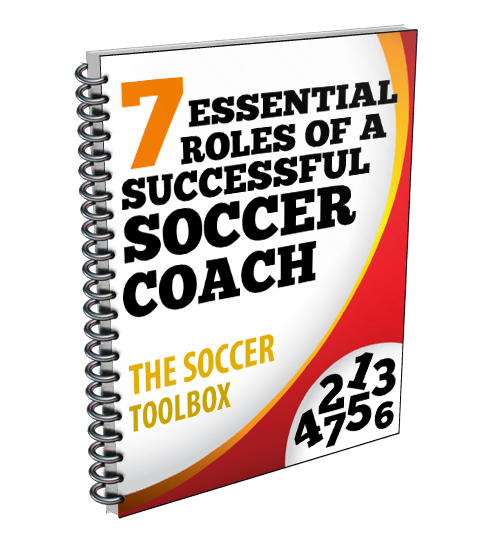 This drill was provided by World Class Coaching, a collection of great resources for coaches. Here is one such resource that is FREE. 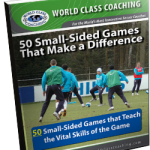 Click the link 50 Small-Sided Games that Make a Difference to receive a copy of this free ebook. The YouTube video below has sound, so please make sure that your volume is turned up and that you have access to the site. Some schools block access to YouTube. This seems like a great drill and I am excited to try it at training tonight with high school girls. I greatly appreciate the explanation of the progression and the ways to differentiate the play based on the age and skill level. Well done, Coach!